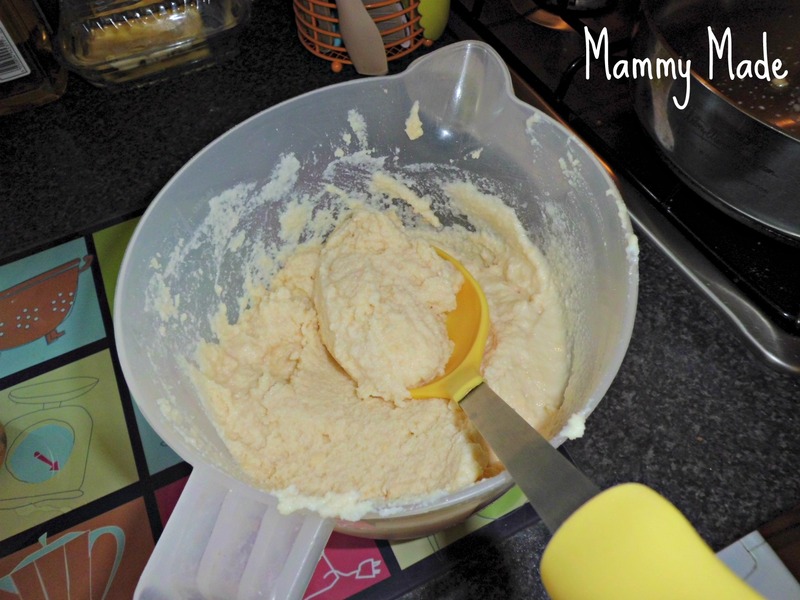 Mammy Made: Coconut Flour (Gluten-Free) Pancakes - FAIL! A few days ago I went to the hospital Accident & Emergency because I had chest pains and tightness that felt like someone squeezing my lungs. I really thought I was about to die! After being examined, it turns out I'm not about to die and it is my stomach not my heart that is causing me problems. Hmm, weird! This morning I decided to plunge in head first and try some gluten free pancakes made out of coconut flour. Errrm. I don't know exactly what I did wrong but they did.not.work. I added my cup of coconut flour, my cup of eggs and my cup of milk and mixed it all up but what I did not at all get was a nice smooth batter. Instead, I got this weird, thick paste-y stuff :S I added another cup of milk and it got slightly more like batter but was still far too thick. I cooked it anyway, thinking it might just still work. It did not. I ended up with a few pieces that were salvageable (which, incidentally, Leyla wolfed down :P) but I mostly ended up with crumbs! Someone please tell me what I did wrong and/or give me a good recipe for coconut flour pancakes that does not involve tons of other stuff I am not likely to have in my cupboard. I don't know why I thought it would work but I had to at least try to cook it as I had just used up the last of my eggs and a full bottle(!) of milk. Coconut flour is very healthy--full of fiber and naturally sweet--but it is so absorbent it requires much more liquid. And since there's no gluten to make it sticky, you'll need more egg to bind it all together. Try starting with two eggs and 1 cup of milk and adding the coconut flour one tablespoon at a time until you get your batter-like consistency. The longer you let the batter sit, the more the flour will absorb the liquids. So you could have the perfect batter to start with and end up with modeling clay after 20 minutes. So go for a runny crepe-like batter. The cakes will have a very different texture--almost chalky and gritty--but I don't mind it. I have added a bit of cocoa or cinnamon and liked it. Good luck! I will be keeping an eye out on your gluten free posts. My dr told me because I have so many hypos it might be linked to coeliac disease so I may need to cut out gluten yet again.